The inclusion of a robust smart TV UI, touch-pad remote and the dynamic sound-blade serve to make the FZ1000U a compelling option for those looking to make the jump to OLED and 4K. 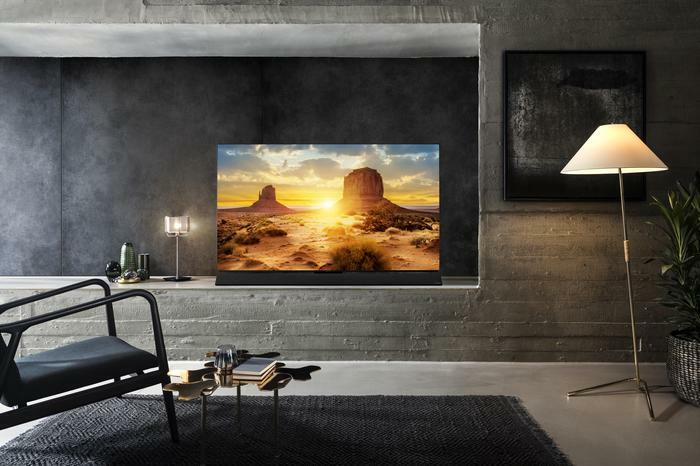 With LG, Sony and even challenger-brands like Kogan and Hisense entering the growing OLED segment of the home entertainment market, the questions being asked by customers are rapidly changing. These days, it’s no longer a question of should I buy an OLED TV. Instead, consumers are becoming more discerning around which brand of OLED they should buy. Is it worth paying extra for LG’s top-of-the-line W8? Or should you take a gamble on Kogan’s offering in the space? Everyone is looking for the right formula, but there’s a lot of competing wisdom around what it could be. 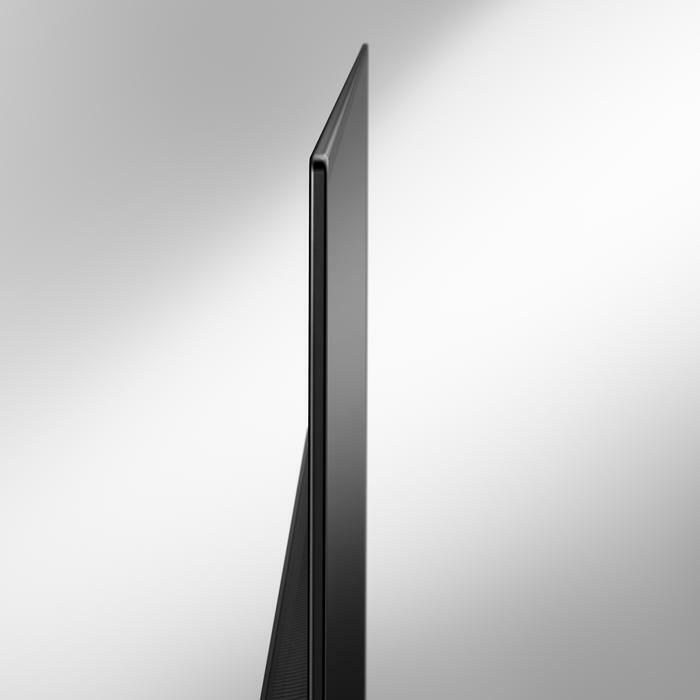 For my money, the Sony Bravia A8F comes pretty close. If you’re a solid OLED at a really competitive price, you can’t go past it. However, if you’re looking to spend a little more - and get a little more in return - Panasonic’s FZ1000U OLED drives a hard bargain. The Panasonic FZ1000U is a premium OLED TV, and it looks the part. But it doesn’t necessarily look that different to the other options out there. For better or for worse, most of this year’s OLED options have fallen back on a pretty similar blueprint when it comes to aesthetics. Across the board, they all leverage the omission of a backlighting panel to accomplish a slimmer and sleeker silhouette. In terms of visibly standing out from the rest of the crowd, the biggest thing that the Panasonic FZ1000U OLED has working in its favor is the stand. 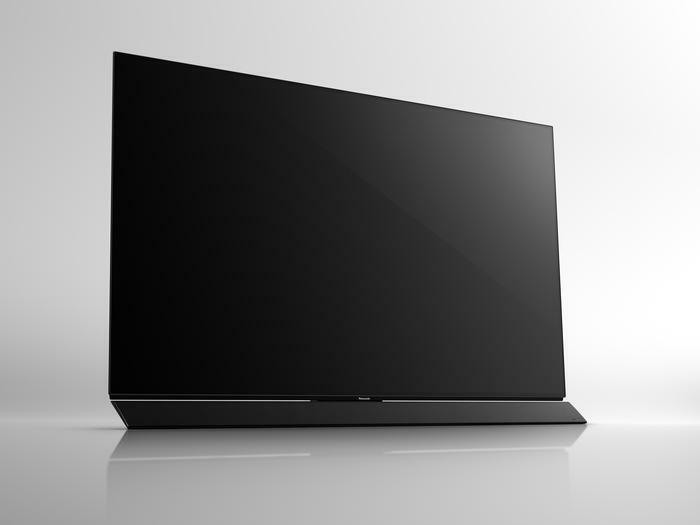 Rather than opt for something more slate-like - presenting as a seamless sheet of glass like LG’s E8 and W8 OLEDs - the FZ1000U is fronted by a dynamic sound blade that’s nestled between the slightly-elevated screen and the surface upon which it rests. 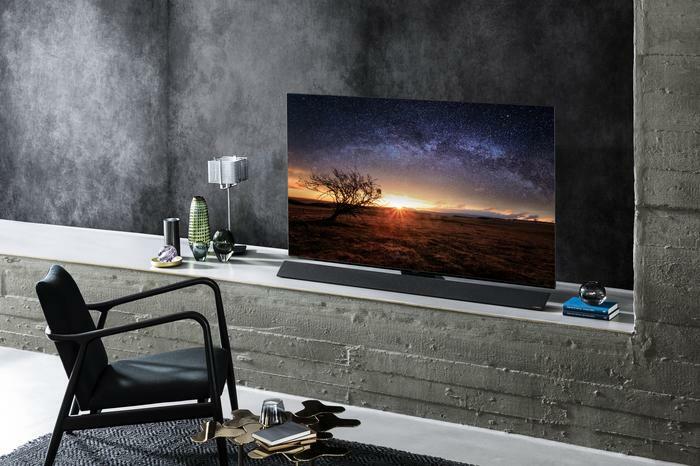 Panasonic are quick to insist that this dynamic sound blade isn’t quite a sound bar. But it does come equipped with a two tweeters, 4 squakers, 4 woofer and a quad-passive radiator. So, it’s not nothing. Obviously, if you’ve already invested in the soundbar aspect of your home theatre setup - this isn’t as much of a value add. It sounds better than a baseline TV speaker experience does but I wouldn’t shelve a Sonos Beam or Playbar for it. Still, if you don’t already own a soundbar, the sound blade’s inclusion does serve well to keep the FZ1000U competitive against the other options. As is often the case, the other significant point of difference here is smarts. In line with previous efforts, the Panasonic FZ1000U runs on My Home Screen. 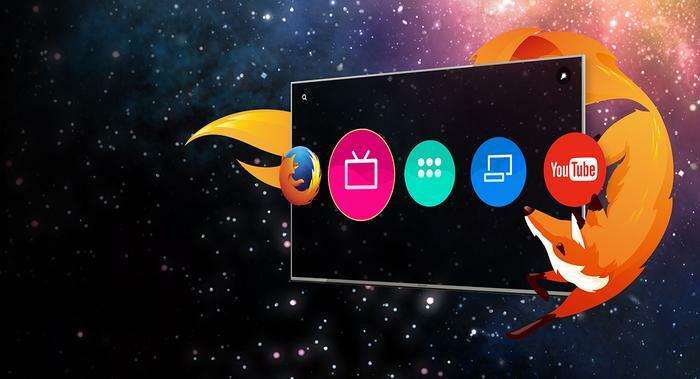 This interface was originally based on an old version of the Firefox OS. However, since Mozilla abandoned the project, Panasonic have worked to grow the platform into its own thing. More than that, they’ve actually done a pretty good job with it. Now in version 3.0, My Home Screen support most major streaming platforms including Netflix, YouTube, Amazon, BigPond, ABC iview, SBS On Demand and Freeview Plus. Unfortunately, select local platforms like 7Plus, 9Now and TenPlay aren’t properly supported at this time. Taken on its own merits, the My Home Screen experience is reasonably fast and responsive enough for most things. However, we’re not as confident in Panasonic’s ability to keep the software updated as we’d like to be. Eventually, there’s going to be another streaming service with the same ‘essential’ mass appeal as Netflix. Maybe it’s Disney Play. Maybe it’s the DC Universe streaming service due to launch later this month. It doesn’t really matter. The point is that there’s no guarantee that Panasonic are going to be agile enough to ensure My Home Screen users have access to these new streaming services from launch or even months after that. Samsung, LG and others are kinda in the same boat here, so - in context - Panasonic aren’t really at a huge disadvantage. Still, if I were someone looking at the FZ1000U and another OLED that ran on Android TV, this would be a definite point in favor of the latter. 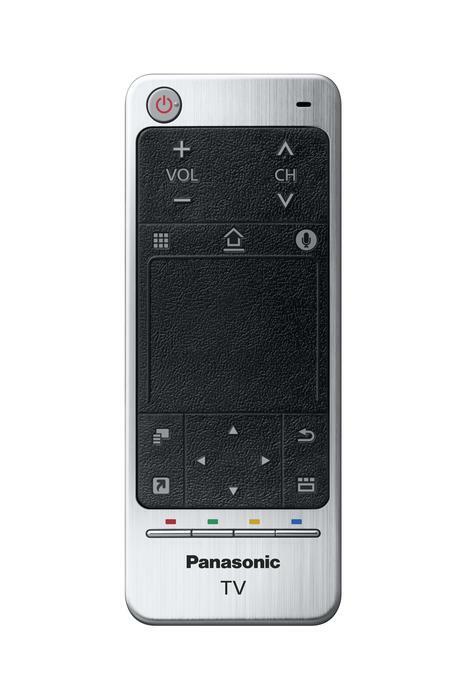 Though they haven’t drawn as much of a spotlight towards it as some of their competition, the Panasonic FZ1000U comes bundled with a smaller, more streamlined ‘nu-remote’ in addition to a regular one. More square than rectangle in form-factor, it comes with a touch-pad in the center. It doesn’t feature any sort of Netflix button - but it does boast all the essentials and keeps everything as accessible as you’d want it to be. Now, at first ring, this touchpad remote might sound like a bit of a gimmick. Thankfully, it actually ends up proving a lot more useful than you’d expect. Even the smartest of smart TV operating systems still struggle to make minutia like filling out password and logins intuitive and responsive. The FZ1000U’s touch-pad remote doesn’t entirely solve this issue. But it does make it a whole lot less painful than it would be on a traditional remote or even something like LG’s Magic Remote. Swiping beats button presses every time. As usual, the selling point for this year’s FZ1000U over last year’s EZ1000U comes in the form of back-end enhancements, courtesy of Panasonic’s new HCX 4K processor. Panasonic say they’ve "taken technology used by Hollywood professionals in post-production and broadcast” and built into the HCX processor inside the FZ1000U. According to them, “the HCX chip delivers the processing power to drive a completely new Dynamic LUT (Look Up Table) system. LUT is used extensively in professional circles to ensure colour accuracy. Generally, LUTs are static, not dynamic, so are fixed according to the source colour space. However, with this innovation, the HCX automatically monitors the average brightness level of a scene, and uses picture analysis to dynamically load the most appropriate LUT. As a result, mid-brightness scenes look much more natural." The short version of this whole spiel is that Panasonic didn’t just look to consumers when it came to refining what their first-gen OLED TVs offered. They took feedback from the pros as well. 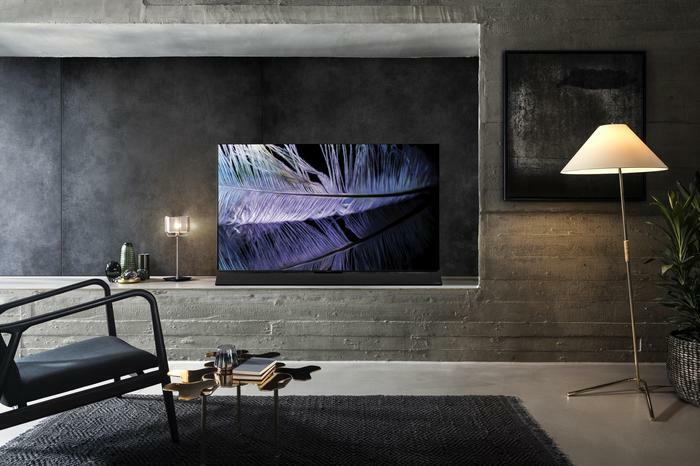 There’s also a new Absolute Black Filter that Panasonic claims will provide the purest, most accurate black levels by absorbing ambient light in order to eliminate reflections – one of the few pesky gremlins in the modern OLED experience. In reality though, I couldn’t say that there was a huge difference in picture quality and deep black here versus what we got out of most other OLEDs we've looked at recently. I mean, don’t get me wrong, the FZ1000 absolutely delivers the OLED 4K home entertainment experience you’re expecting it to. Colors are vivid, varied and lifelike. Absolute blacks and deeper contrasts give new impact to darker scenes and the integrated sound blade gives dialogue a lot more punch than it would otherwise have. Netflix content like The Crown and Marvel’s Luke Cage proved great samplers for all of these capabilities. 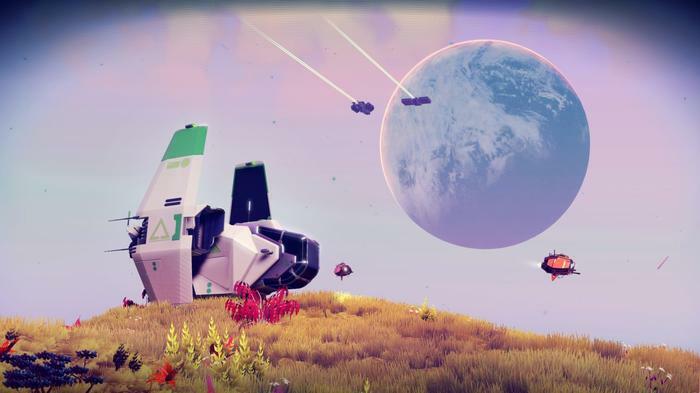 Likewise, HDR-enhanced titles on the Xbox One X - for example, the newly-minted No Man’s Sky: NEXT - proved incredible showpieces for the Panasonic FZ1000U’s capabilities within the gaming arena. Exotic alien landscapes practically fizzled with color and the soft gradients of its proc-gen nebulae were jaw-dropping to gaze upon. All this said, I struggled to find that much in terms of the raw visual qualities presented by the FZ1000U that I could really say separated it from most of the other OLED TVs I’ve used in the past. Bright colors didn't appear to be quite as bright as they might be on an LG OLED but I'd willing to cede the FZ1000U a narrow edge when it came to the quality of its absolute blacks. Despite the FZ1000U’s 4K capabilities, the amount of non-4K content that you’ll probably watch on a TV like this is still pretty significant. And when it came to non-4K content, the up-scaling on the Panasonic FZ1000U was generally quite good. However, darker scenes sometimes carried a widespread noisiness that was far from ideal. I’m hopeful this aspect of the experience continues to benefit from technological advancements in future iterations. If you’re unable or unwilling to consider the more-expensive OLED options being sold by LG or the more-affordable OLED Sony are shilling, the Panasonic FZ1000U holds up as a surprisingly striking middle-ground option. It costs a little more. But you do get a little more in return. 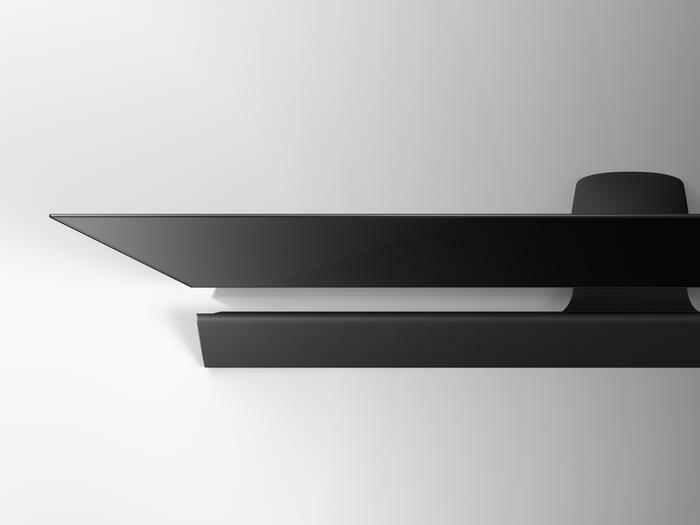 The inclusion of a robust smart TV UI, touch-pad remote and the dynamic sound-blade serve to make it a compelling alternative for those looking to make the jump to OLED and 4K - but less so for those already invested and entrenched in their home entertainment experience. The Panasonic FZ1000U kind of a product that speaks for itself. So take a listen. And if it resonates, pull the trigger.